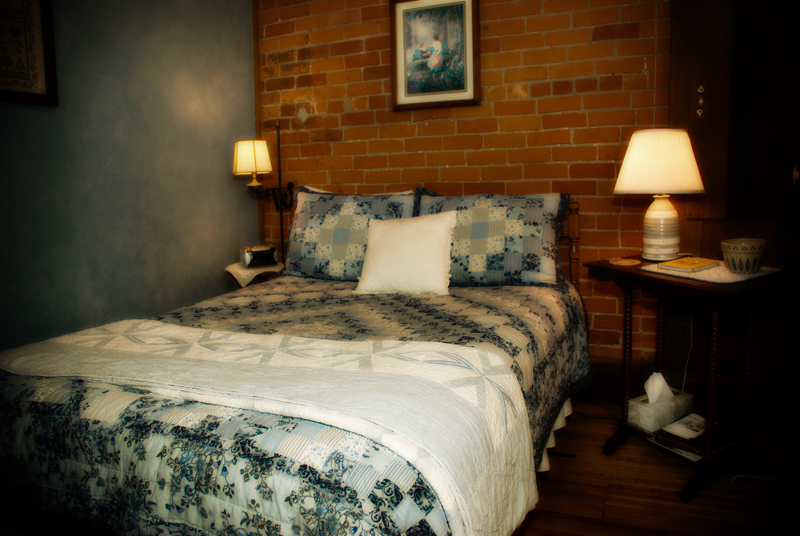 This intimate room is furnished with a full sized bed, and provides a cozy setting for one or two people. 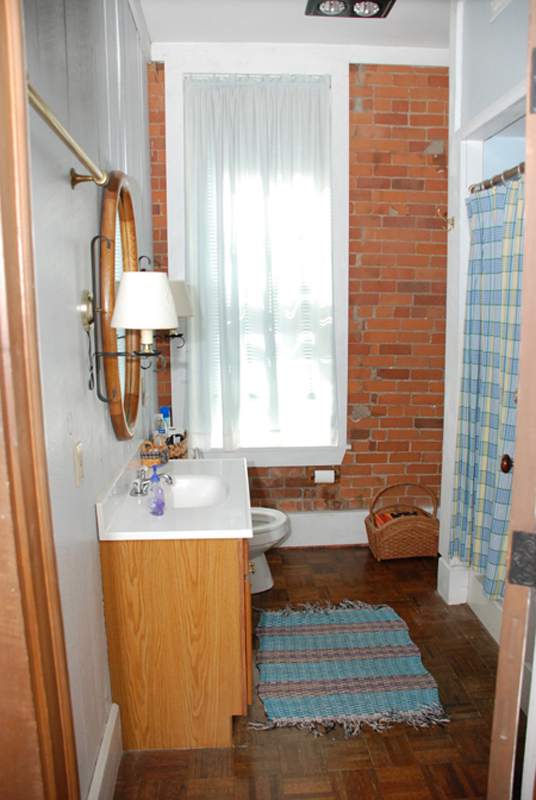 Private bath, ceiling fan, Cable TV, and DVD player are included. 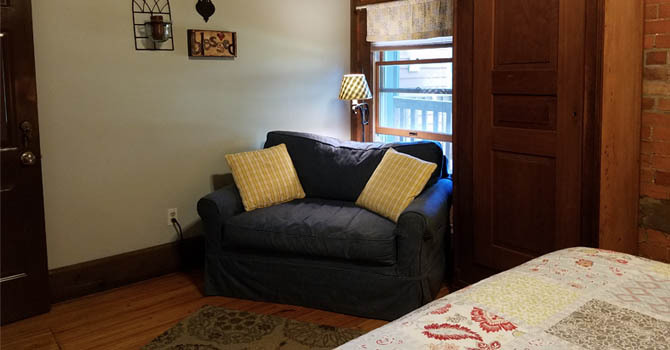 The room is furnished with a queen-sized bed and a small sitting area with a love seat. 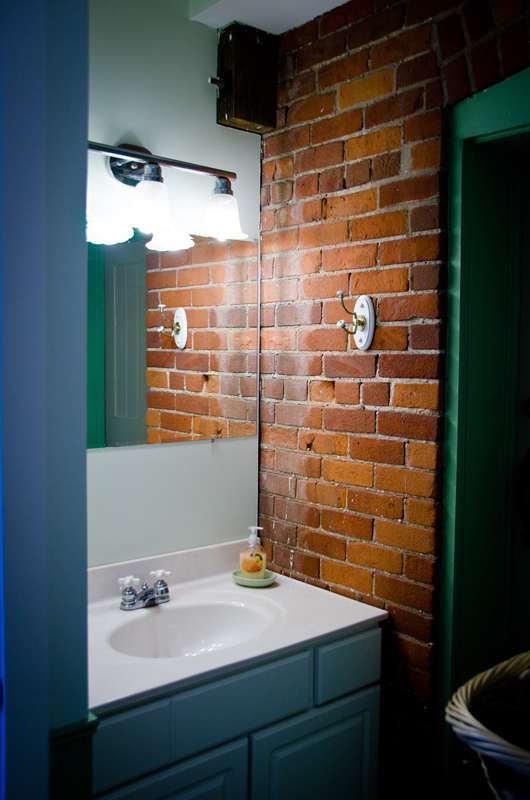 Original brick walls provide historical character and feel to the room. 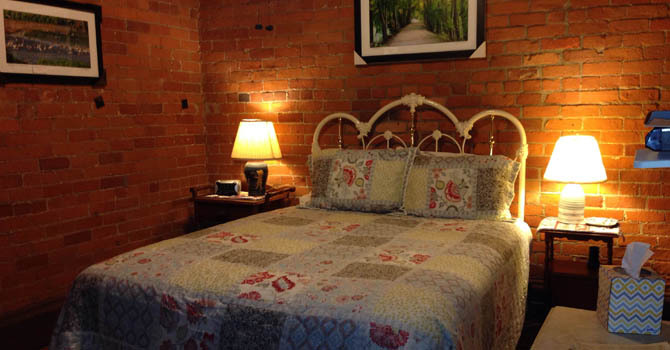 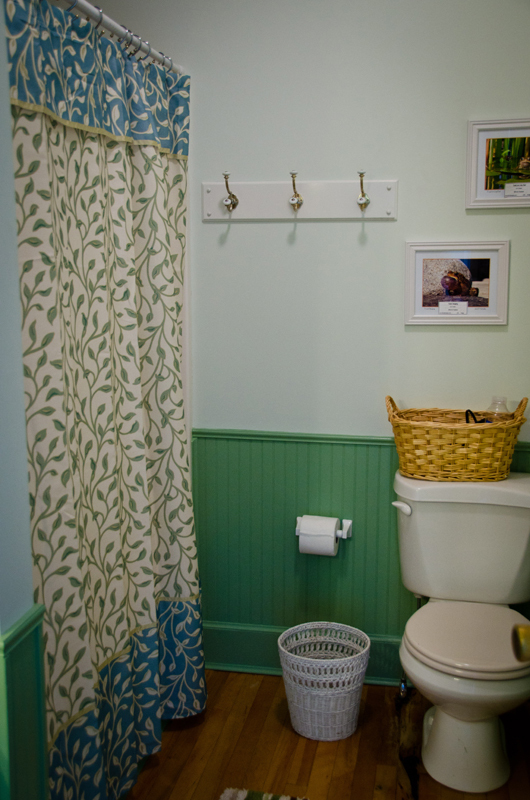 Private bath, ceiling fan, cable TV and DVD player are included. 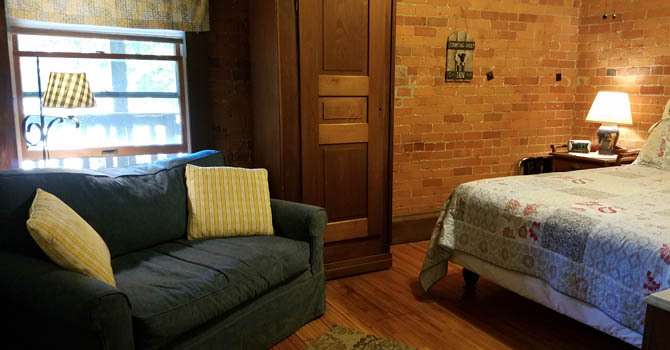 The Edward Howard Room, is our largest room, furnished with a king-sized bed, a four season fireplace, private bath, ceiling fan, Cable TV, DVD player, as well as a sitting area. 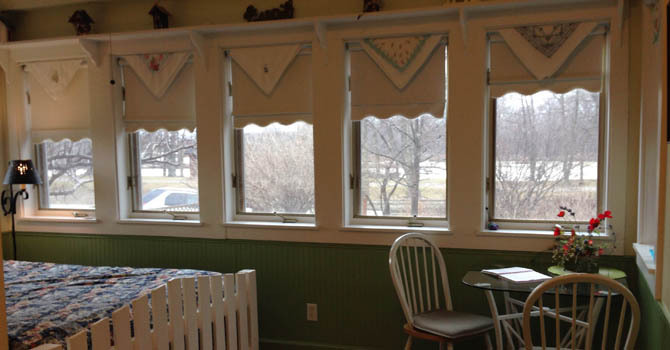 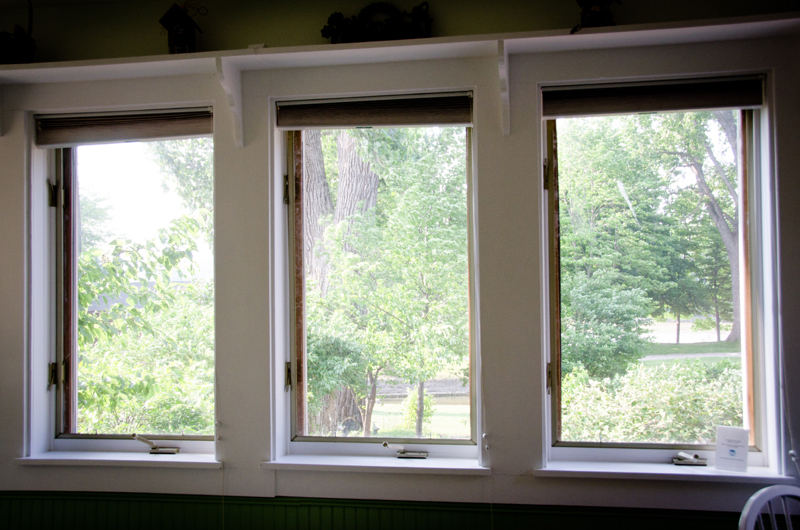 This room has windows overlooking the gardens, canal, and the Maumee River. 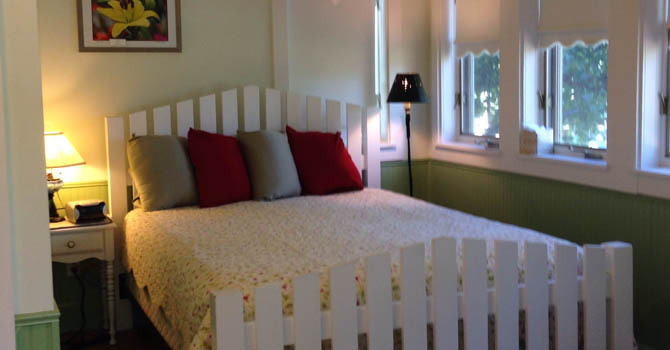 It has a private entrance and is furnished with a queen-sized bed, private bath, and ceiling fan.